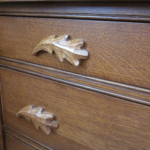 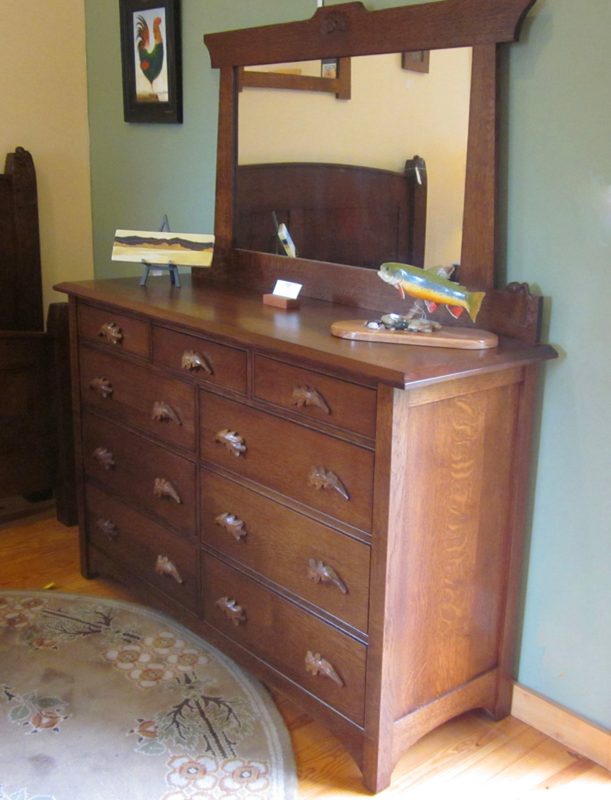 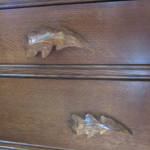 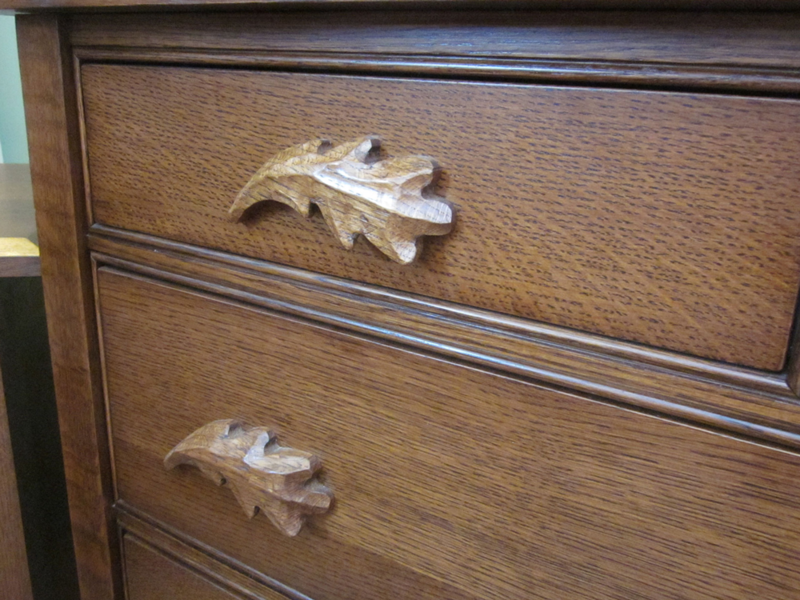 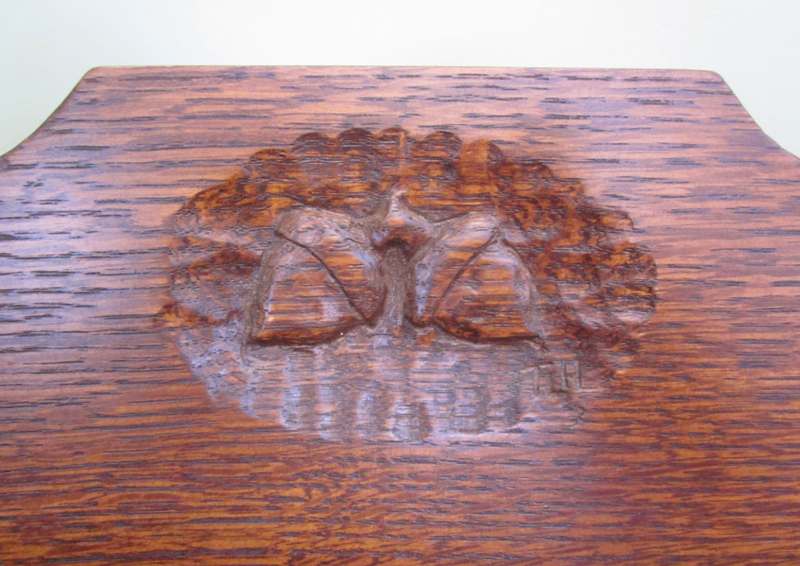 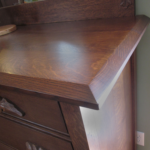 Quarter-sawn white oak dresser features hand carved acorns and oak leaves. 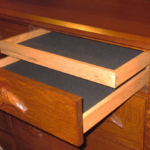 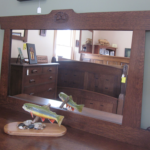 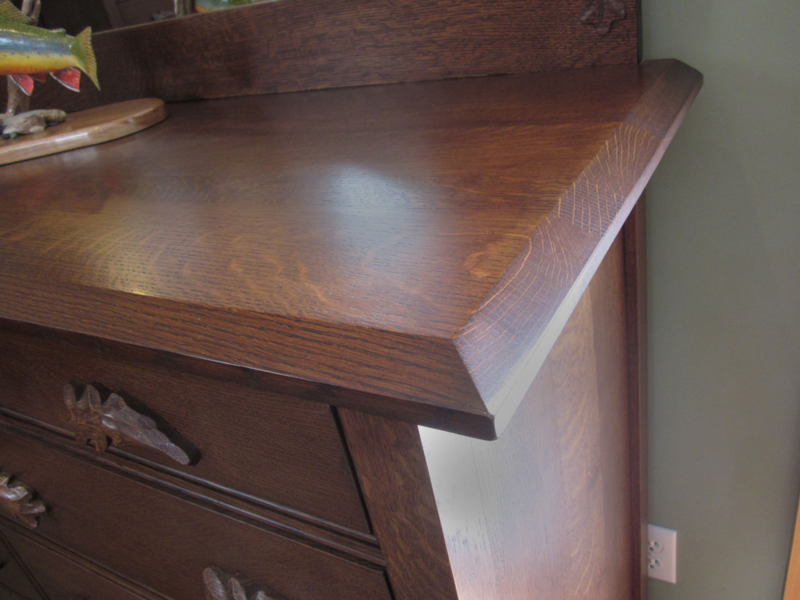 This heirloom-quality dresser will last for generations. 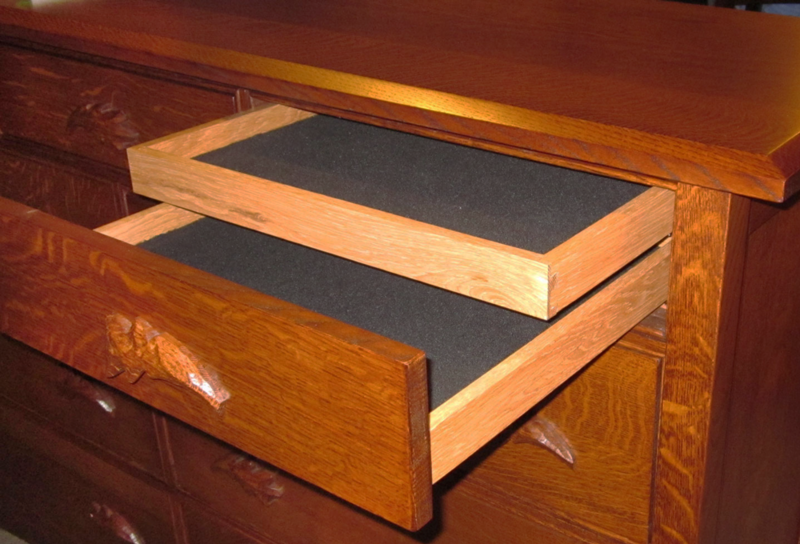 • Height at top of case: 37 in. 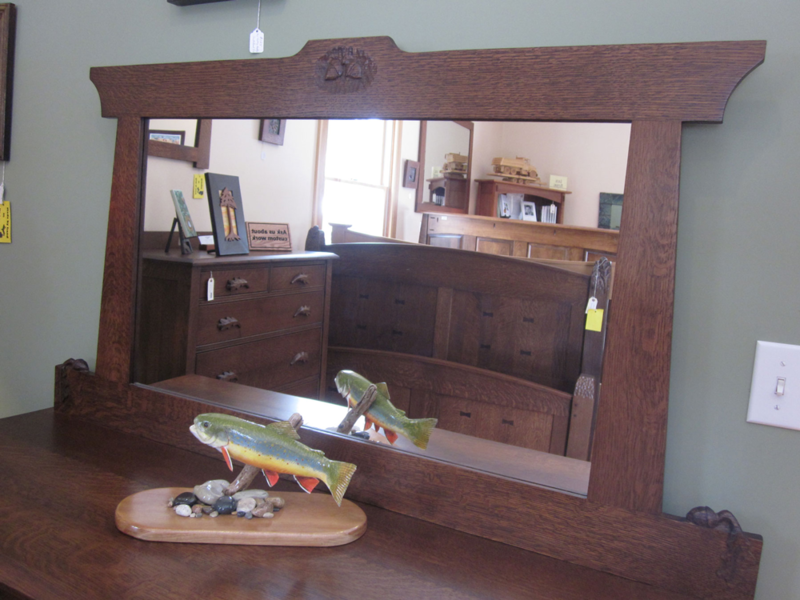 • Height at top of mirror: 68 in. 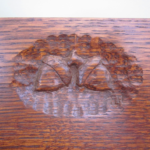 We LOVE our tables! 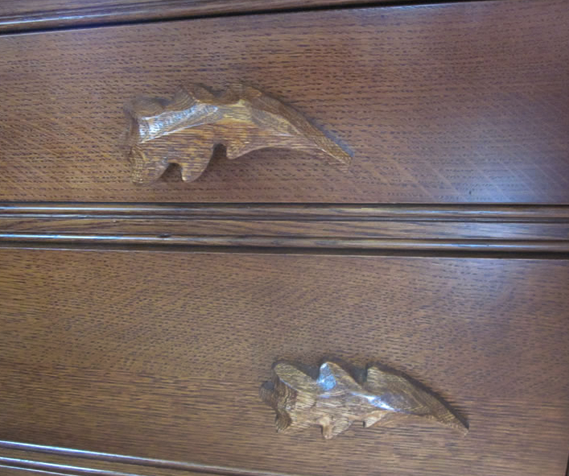 Had to come back!